Even with the largest storage options, most iPhone photo libraries eventually become too large to store on your phone. And when storing your photos locally, they’re not accessible on any other device. Cloud storage solves both of these issues. The most popular photo storage services for iPhone and iPad are iCloud Photo Library, Dropbox, and Google Photos. Let’s see how they compare and which is best for you. iCloud has been a part of Apple’s ecosystem since 2011. It’s thus a popular choice since it comes integrated with your iPhone or iPad. The service stores your data in Apple’s servers and syncs it across all your devices. iCloud’s solution for photos is called iCloud Photo Library. This is essentially the Photos app on your iPhone or iPad, but all the content is synced to iCloud (including your albums and Memories). Furthermore, any changes to your library will appear immediately on your other devices. Your Apple ID comes with 5GB of free iCloud space. If you want to upgrade, 50GB costs $1 every month, 200GB is $4 per month, and 2TB costs $10 a month. For all but the most enthusiast photographers, the cheaper plans should provide plenty of room. 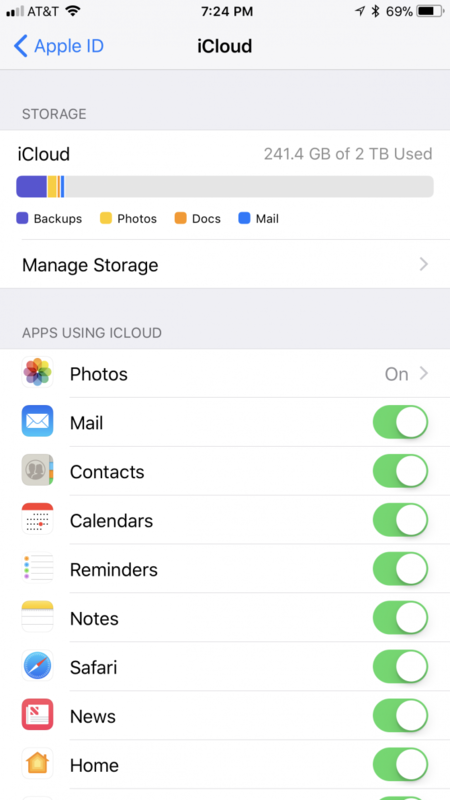 Don’t forget that iCloud Photo Library shares space with iCloud’s other uses, such as backing up your iPhone How to Back Up Your iPhone and iPad How to Back Up Your iPhone and iPad What would you do if you lost your iPhone tomorrow? You need to have a backup plan, and we'll show you how to back up to iCloud or iTunes. Read More . The most obvious benefit to using iCloud is that it’s specifically designed for iOS. This means that all your albums, Memories, and shared pictures (plus their metadata) sync to iCloud. Nevertheless, you can still store your photos both locally on your device and on iCloud, if you want two copies of your photo library. But if you have a large library, it’s doubtful you can store them all locally. Mac users can further benefit from using iCloud, as macOS seamlessly integrates with the service. Furthermore, Mac is the only platform where you have full control to customize your iCloud Photo Library. For instance, using iCloud Photo Library on a Mac allows you to edit the metadata of each image. Thus, you can add 20th-century photos into your library chronologically. Windows users are at a disadvantage with iCloud Photo Library, as the Apple Photos app isn’t available on Windows. However, you can always download iCloud for Windows. This lets you upload photos from your computer and back up your photo collection onto your PC. Plus, every photo includes the date and time it was taken. However, iCloud for Windows does not provide the full editing power of Photos on macOS. Nor does it allow you to back up your your custom albums or Memories. 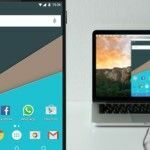 And there’s no iCloud app for Android, which limits cross-device convenience. And unfortunately, iCloud doesn’t have a history of ironclad security or reliability. iOS updates, routine iCloud maintenance, and even international travel can result in lost data. Apple Music alone has suffered from an iCloud problem It's 2018 and Apple Music Still Has an iCloud Problem It's 2018 and Apple Music Still Has an iCloud Problem Two years on, iCloud Music Library is still a liability. Worse still, Apple isn't forthcoming about many of these limitations, which extend beyond Apple Music and into iCloud as a whole. 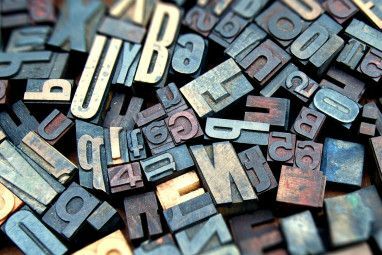 Read More for years. I lost over 3,000 photos from 2015 due to Apple performing faulty maintenance on iCloud. Additionally, Apple support staff are usually not helpful with solving iCloud problems The 9 Most Common iCloud Problems and How to Fix Them The 9 Most Common iCloud Problems and How to Fix Them Seeing a "can't connect to server" or "Updating iCloud Settings" message on your iPhone? We'll show you how to fix these common iCloud issues. Read More . Therefore, should you decide to use iCloud Photo Library, backing up your library regularly is a must. Who Should Use iCloud Photo Library? If you use both macOS and iOS, iCloud Photo Library is a pretty easy choice. 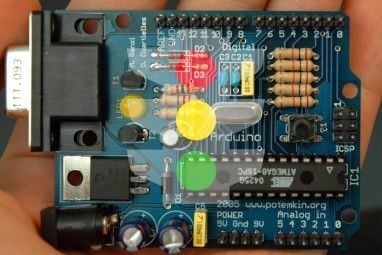 It’s built into both platforms and is simple to use. 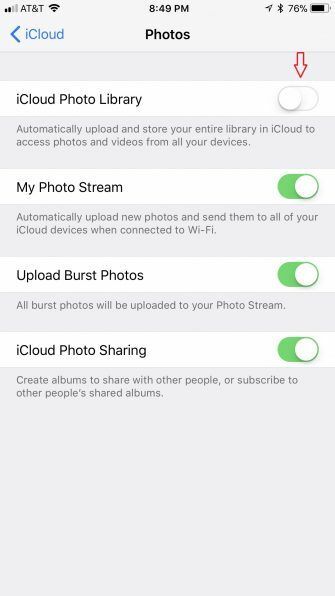 If you would like to enable iCloud Photo Library on your iOS devices, first disable any other photo-syncing apps like Dropbox or Google Photos. Next, tap Settings > [Your Name] > iCloud, and then Photos. From there, enable iCloud Photo Library. Dropbox is a longtime cloud storage favorite that provides simple data syncing and storage across every major platform. It provides more user customization than any other major cloud syncing service. While Dropbox may be light on the fancier features that iCloud offers, it doesn’t come cheap. The free plan, Dropbox Basic, offers a measly 2GB of cloud storage space. Plus is the next step up and offers 1TB of storage space (plus a few extra features) for $10 a month. Dropbox Professional offers 2TB of storage and even more features for $20 a month. Dropbox features a simplicity that many will love. The service doesn’t use facial recognition software or make slideshows of your pictures for you. It simply provides safe storage for your photos and videos and offers you the ability to sync them between your devices. 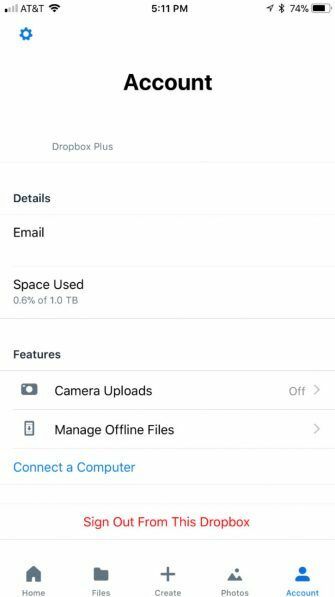 Once you’ve enabled Camera Uploads in the Dropbox app, the photos and videos from your iPhone show up in the Camera Uploads folder. From there, you can organize them on a PC or Mac. One other benefit of using Dropbox on iOS is that your local photo library is untouched by Dropbox, even when Camera Uploads is enabled. This means that it’s very unlikely Dropbox would corrupt or delete your local photo library. To sync your iOS photos with Dropbox, first turn off iCloud Photo Library as described above. Next, open the Dropbox app, sign into your Dropbox account, and tap Account (or Personal) in the lower right-hand side of the screen. At that point, tap Camera Uploads and enable the slider on the next screen to start syncing your photos to Dropbox. 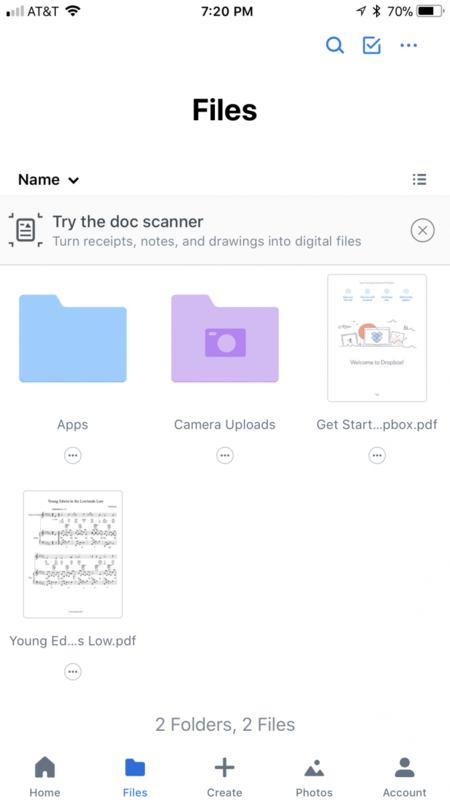 One problem with Dropbox is that it clashes with iOS’s Photos app. Dropbox’s Camera Uploads sync service will not function as long as iCloud Photo Library is on. Another drawback to using Dropbox is the lack of facial recognition software and automatic album creation. However, depending upon your preferences, not having these features may actually be a benefit. Finally, photos downloaded from Dropbox do not contain the metadata of the date and time they were taken. Dropbox is most useful for people who like simplicity and prefer as little AI as possible. If you want solid security, enjoy curating your own albums, and aren’t fond of the newest features, Dropbox is the service for you. Google Photos is the newest photo storage service of the three. It offers a secure photo sync system compatible with Android, iOS, and any computer via a web app. Google Photos gives 15GB free to all users. To upgrade your plan, you’ll need to join Google One, which provides additional storage space, access to priority support, and more. Prices start at $2/month for 100GB and go as high as 30TB for $300/month. The biggest reason to use Google Photos on your iPhone Should You Be Using Google Photos on Your iPhone? Should You Be Using Google Photos on Your iPhone? Free storage space, Google Lens, and a suite of helpful tools might just make you switch over to Google Photos for your iPhone media management. Read More is its advertised free unlimited photo storage. While you can store original quality photos and videos that count against your storage limit, high-quality storage is sufficient for most people. Photos over 16MP and videos higher than 1080p get downsized to those levels. One of the other big perks of using Google Photos is its powerful artificial intelligence that organizes your photo library. Google Photos, like iCloud Photo Library, assists you by organizing your photos into categories. The service’s powerful facial recognition software helps organize selfies and photos of your friends into different albums, for example. Google Photos also allows you to tinker with many nifty features like custom GIF, collage, and slideshow creation. Indeed, Google Photos has tons of cool features you might not know about. One of the largest drawbacks of Google Photos for iOS users is how it interacts with your Photos app. When you download the app, Google Photos will ask you to turn off iCloud Photo Library. After this, the app will request access to your photos and videos, then begin syncing your content to Google Photos. While your pictures and videos are still stored locally on your device, the Google Photos app technically takes control of your Photos app library. If you delete a photo from Google Photos, it will also disappear from your iOS device. Furthermore, any photo downloaded from Google Photos will not contain its original date and time metadata. Privacy-conscious users concerned with Google’s widespread tracking and analytics will also want to avoid this one. The biggest reason to use Google Photos is the free storage space. If you don’t need to store your photos and videos at original quality and don’t want to pay for more storage, Google Photos is a good choice. Alternatively, if you have both and iPhone and Android device, Google Photos may be a perfect fit for you. Which Service Should Sync Your iPhone Photos? With everything considered, iCloud is the best photo syncing service for most iOS users. iCloud’s seamless integration with the built-in Photos app allows you to enjoy your library the way Apple intended. 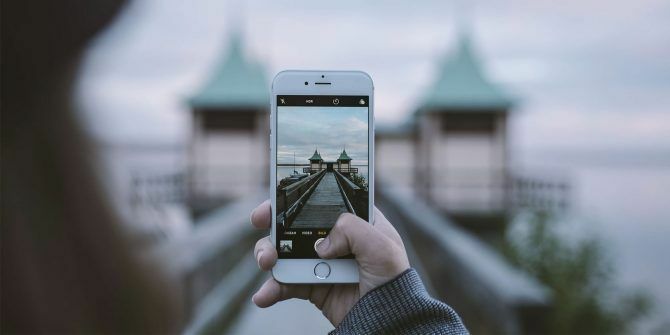 Though if you’re already committed to Google, Google Photos might be a worthy competitor 5 Reasons to Use Google Photos Over iCloud Photos 5 Reasons to Use Google Photos Over iCloud Photos If you own an iPhone or iPad, should you be using Google Photos or iCloud Photos to store and manage your photos? Read More . Furthermore, iCloud Photo Library allows you to have years’ worth of photos at your fingertips while watching your library constantly evolve. Plus, the Photos app allows you to easily share photos to social media. Even without a Mac, most tasks involving iCloud Photo Library are manageable on an iOS device. You can easily back up just your photos and videos to a Windows PC. The only important task that you cannot complete without a Mac is creating an exact backup of your iCloud Photo Library. However, you can always rebuild your iCloud Photo library in the case of disaster if you back up your photos and videos to a PC. In the meantime, check out our recommendations for what to do with your spare iCloud storage 6 Nifty Uses for Spare iCloud Storage 6 Nifty Uses for Spare iCloud Storage Have more iCloud space than you know what to do with? Here are several great ways to get more out of iCloud. Read More . Explore more about: Cloud Storage, Dropbox, Google Photos, iCloud, Smartphone Photography. If we use icloud, we can't delete some old photos only from iPhone, but keep them in icloud, right? So, relatively how much space is occupied on iphone, compared to icloud's full resolution photos? If gradually, I fill up 500 GB on icloud , how much space would be occupied on iphone? Photos synced with Dropbox *will* include EXIF metadata. And you can sync with Dropbox *and* iCloud Photo Library at the same time. I have been doing this for years without any issues. The only real issue is that you end up with 2 copies of your photos and have to delete bad photos in 2 places. Tom Kostelac is a recent graduate of Penn State and works in the real estate industry at his father’s commercial real estate and property management firm. When not working, Tom enjoys playing piano professionally at a various venues and is a tech enthusiast; especially in regards to gaming.